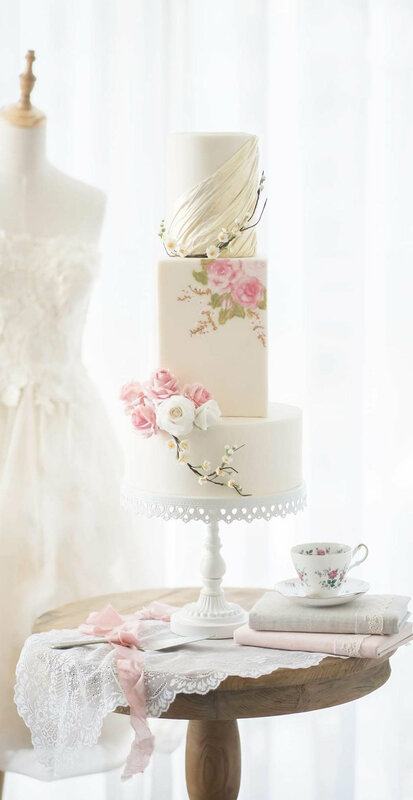 Twenty-Five Wedding Cakes to Inspire! We are so fortunate and blessed that the photos featured here are from our amazing, creative clients that have taken our vision and brought it to life! 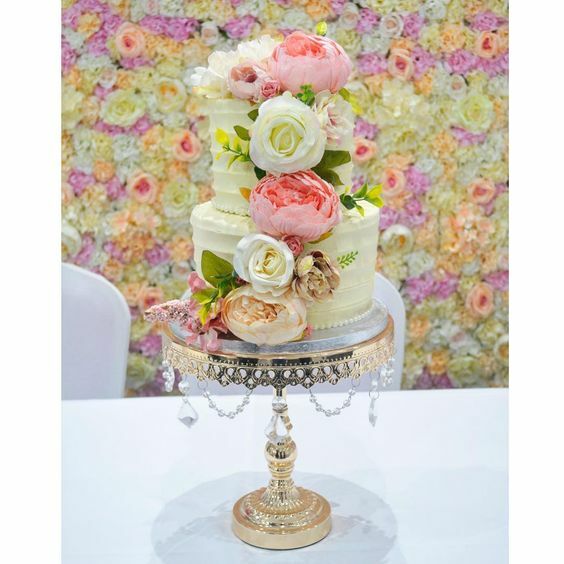 Discover our original Chandelier Cake Stand created by Opulent Treasures with LOVE! Our cake stands and entertaining pieces have been featured on QVC, The Today Show and fabulous TV shows and magazines! Take a peek at our press page for more fabulous features! 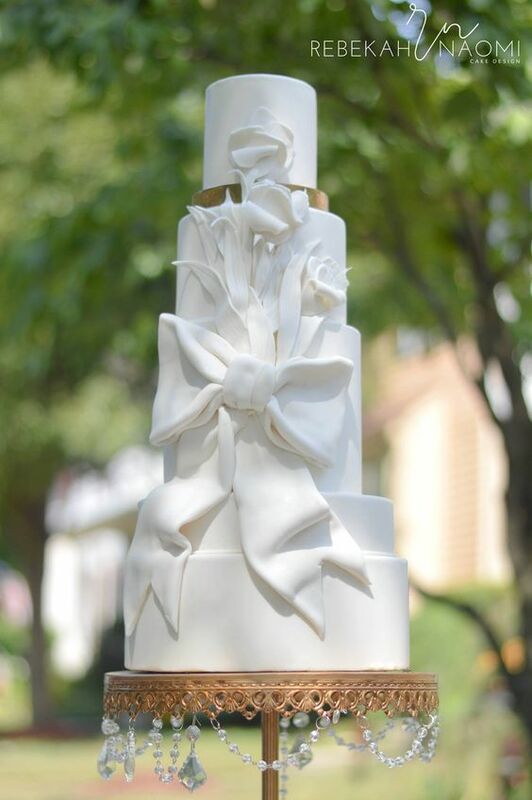 Traditional classic white wedding cakes never go out of style! Opulent Treasures original chandelier cake stand in antique silver. 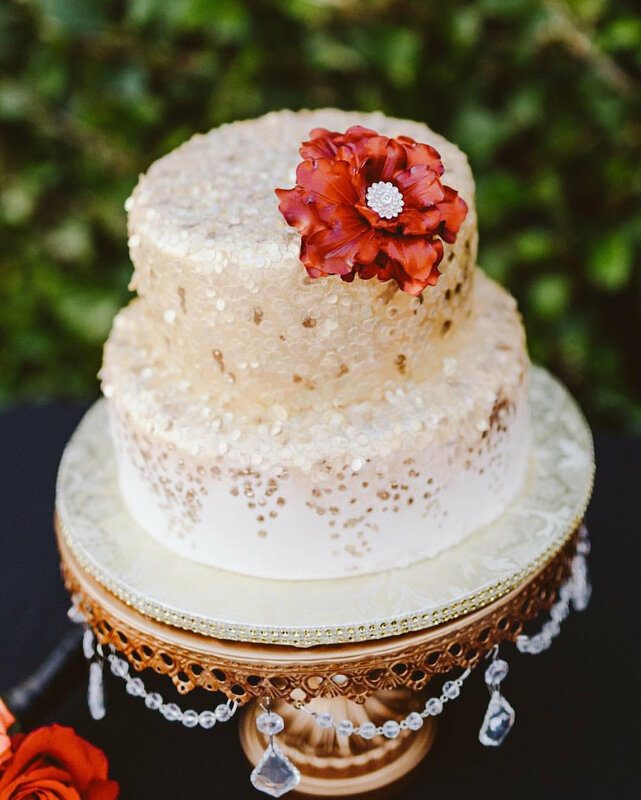 Opulent Treasures original chandelier cake stand in antique gold. 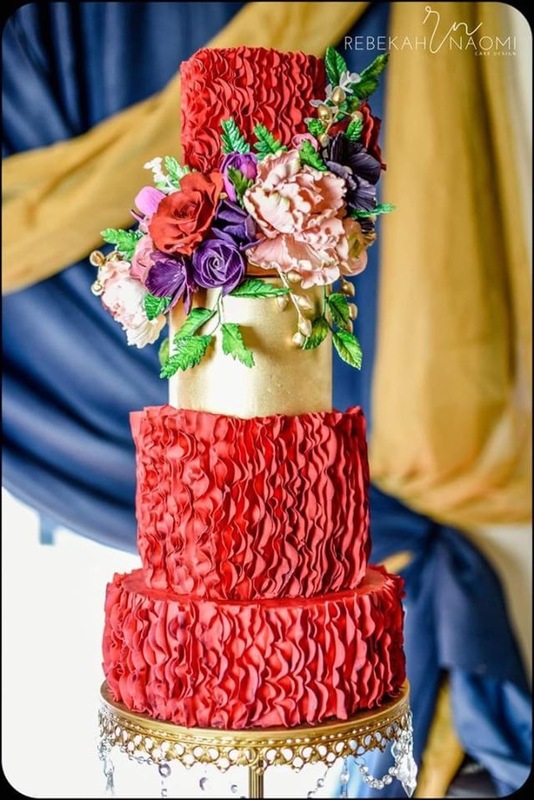 Opulent Treasures Chandelier Round Metal Cake Stands showcase cakes, cupcakes and desserts to make a gorgeous impression. Sold as set of 3: small, medium & large, each cake stand is designed to be multifunctional and versatile with removable pedestal bases to interchange for creating height and space to your cake or dessert table. 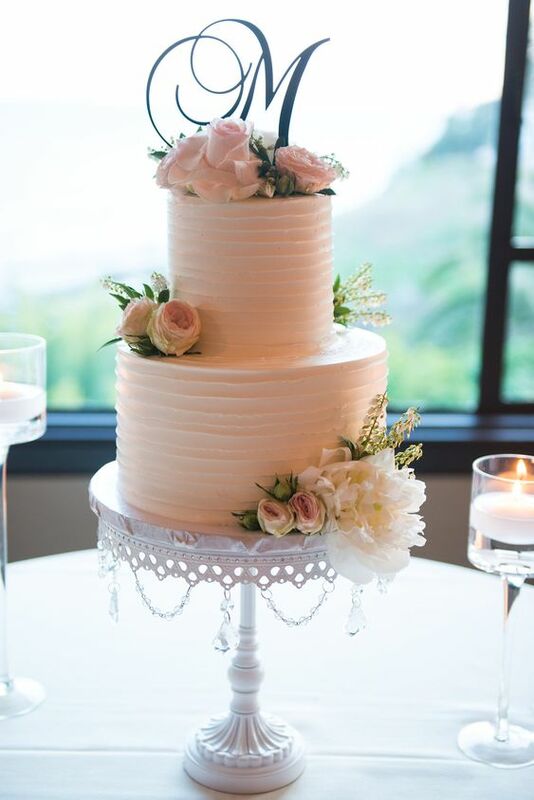 Cake plates can be stacked to create elegant cake towers. Chandelier glass faux crystal accents add charm and opulence! Opulent Treasures original chandelier cake stand in white. Chandelier glass faux crystal accents are easily removed to create a new look! Serving pieces are food safe and simply clean with damp cloth. We hope our designs create memories for all your celebrations and add warmth and elegance to your special day! Opulent Treasures is a trademarked brand about entertaining pieces that all work together as a charming collection. Available in Antique Gold, Antique Silver, Shiny Gold, Shiny Rose Gold, Shiny Silver, Pink and White. Opulent Treasures original chandelier cake stand in shiny gold, also available in shiny silver and shiny rose gold. 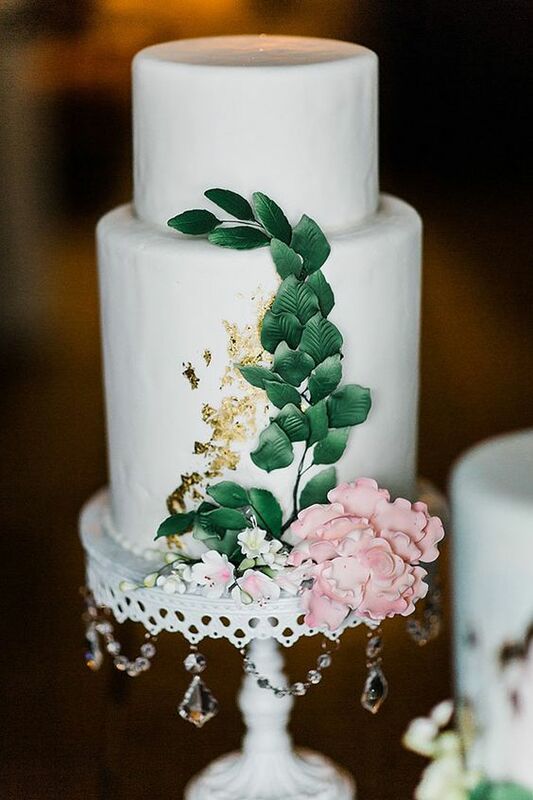 Follow along on Instagram for MORE Wedding Cake inspiration! Opulent Treasures began in 1995 with seeds of love and passion that continue to flourish! We welcome you to send us your amazing photos from your special occasions! Sincere thanks to my family and friends who continually leap with me into the flowing river of God's Grace. Something Blue ~ Wedding Cakes and Dessert Tables to Love!